Are you wondering if you should be using Shopify for your website? Or if you are using Shopify to sell your products online, do you wonder if you’re using it as well as you could be? Read on, because I have some thoughts about why Shopify is the best ecommerce platform for small businesses! The checkout process has been minutely perfected on Shopify, in a way that other ecommerce providers can’t replicate. For instance, the first time I shop on ANY website that uses Shopify Pay, I can check a box to save my info. Then, any time in the future when I shop on any other website that uses Shopify Pay, it recognizes my email, and asks if I’d like to be sent a code to complete checkout. It texts my phone, I enter my code, and I don’t have to enter in any other information. Shop owners can also opt to use Apple Pay or Google Pay, which means a single press of my thumb and I’ve made a purchase. It almost feels like I’ve accidentally bought things from Shopify sellers, the process is so frictionless! This alone would lead to more sales on Shopify than on other platforms, and anyone who sees high cart abandonment rates could benefit from a switch to Shopify. Sales channels. Shopify allows you to sell all over the place, not just your website. A nice thing is that it all syncs with your Shopify back end, so you don’t have to do tedious inventory and order management. Here are the channels they offer (so far). Shopify is also always the first, if not only, software that makes deals with other companies to allow you to sell in creative new ways. For instance, Buyable Pins on Pinterest, and shoppable Instagram posts. The thing with capitalism is that smaller ecommerce companies just don’t have the clout to strike the deals that benefit Shopify merchants. Future-ready. In general, Shopify meets most of our clients’ needs, and when it doesn’t, we can adjust it to do so ourselves, or recommend an app to our clients. It is easy to use both for the shopper AND the shop owner. And it is constantly updated and improved, often with cutting edge technology that no one else is using yet. It seems like the best way to be sure you’re still in the game when whatever weird way everyone ends up shopping in the future rolls around. There is so much available at Shopify, you might want help to be sure you’re taking full advantage of everything that will increase your sales. 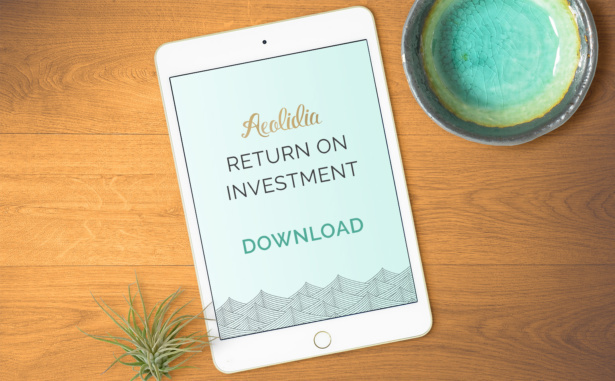 I hope you’ll consider calling on the Aeolidia team to get your website in shape before the end of the year. The main services we offer are custom Shopify website design and development and logo and brand design. We don’t do little bits of things on their own, but we do offer our logo and website clients help with just about everything that goes into creating a strong brand online. Replatforming: moving your products, blog posts, customers, orders, gift cards, pages, and reviews. Data analysis: integrating Google Analytics correctly with Shopify and mining actionable data from your stats. Brand consulting: differentiating your business and creating a target customer profile. Business naming: we name new businesses and rename ones that have shifted what they offer. Marketing strategy: we help you create a plan of action for getting press and driving traffic to your site. SEO: we make a plan for driving free traffic from Google — people looking for just what you sell. Advanced MailChimp setup: help with segmenting, money-making automations, and cleanup. Conversion rate optimization: we guide you through policies and strategy that make more sales from your traffic. Print and packaging design: for a memorable unboxing experience. Content creation: from product photography to ecommerce copywriting to illustration. If designing or redesigning your website seems overwhelming… well, it is a lot of work! Your Aeolidia team may consist of seven different people, all taking care of one aspect or another of making the most of your web presence. I won’t suggest that it’s easy to move a busy shop to Shopify (it is pretty easy to have us redesign your existing Shopify site), but it’s absolutely do-able if you stick to your products and content and let a team of Shopify experts take care of the rest. Has Your Handmade Business Outgrown Etsy?